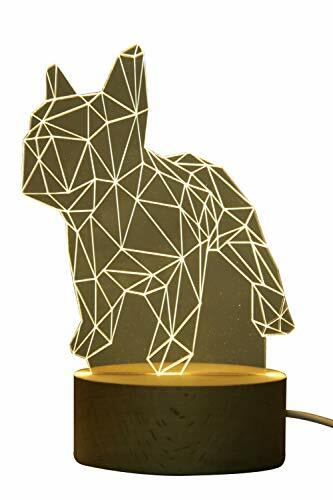 Cute animal shaped sculpture light that's perfect as a decor feature in any space! Great for room decoration, office, play room, kids bedroom decor; perfect night light! Acrylic animal shaped flat panel is mounted on a high quality hardwood base with a USB plug-in cord for instant changing of the mood. Cute animal shaped sculpture light that's perfect as a decor feature in any space! Acrylic animal shaped flat panel is mounted on a high quality hardwood base with a USB plug-in cord for instant changing of the mood. If you have any questions about this product by Innerest, contact us by completing and submitting the form below. If you are looking for a specif part number, please include it with your message.